Date: Nov 22 2018, 11 a.m. - 2 p.m.
With Thanksgiving just around the corner, have you found yourself wishing you could have a delicious Thanksgiving meal without all the work? You can! Relax while The Landing takes care of the cooking for you, so you can enjoy time with family and friends on Thursday, November 22 from 11am - 2pm at The Landing. 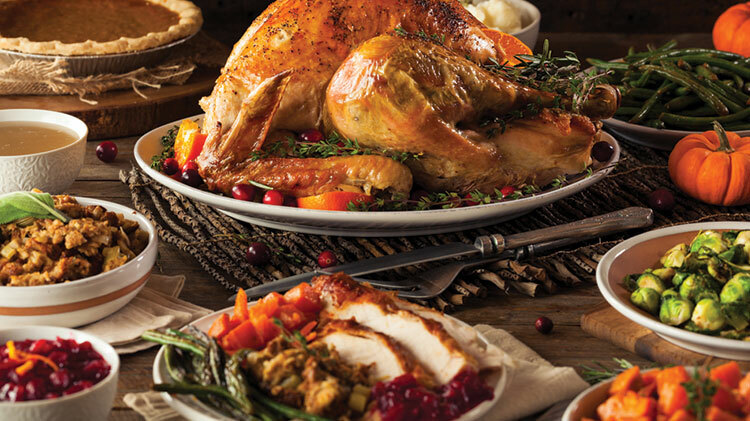 The Thanksgiving Feast will be buffet style, featuring delicious Thanksgiving favorites! Menu includes favorites like Carved Turkey, Ham or Beef, Sweet Potato Casserole, Green Bean Casserole, Stuffing and Gravy, Corn O’ Brien, Mac ’n’ Cheese Bar, Seasoned Lima Beans, Assorted Desserts, Rolls and More! Reservations are highly recommended! When making your reservation please include how many adults and children will be in your party. For more information or to make a reservation call The Landing, +1 (334)255-0769. Military Family Special $45.99 for for two adults and up to two children ages 12 and under.